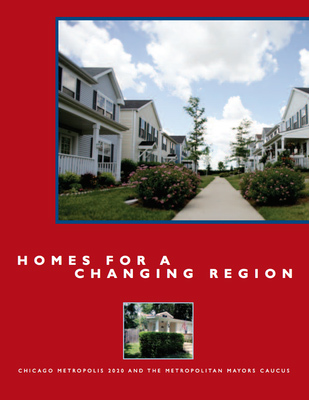 Regional Housing Solutions helps municipal officials and staff, policy makers, and other housing stakeholders understand the variation in local housing submarkets, identify where common housing challenges exist across the region, and determine the best strategies to address those challenges. 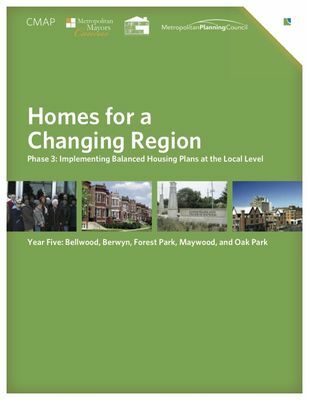 The Chicago Metropolitan Agency for Planning (CMAP), Metropolitan Mayors Caucus (MMC) and Metropolitan Planning Council (MPC) have partnered with DePaul University’s Institute for Housing Studies (IHS) to identify the geography and characteristics of eight distinct subregional housing markets across northeastern Illinois. This website contains the study’s findings, including detailed information about each of the eight submarkets, as well as recommended strategies for each area. 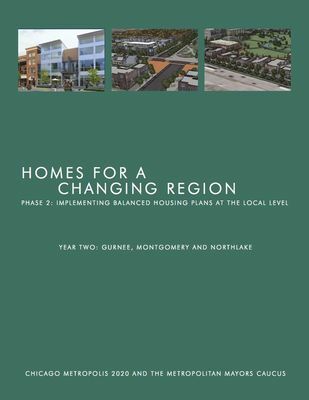 The strategies were developed from the results of extensive outreach and discussions with a broad audience of policy makers, for-profit and not-for-profit housing developers, realtors, financial institutions, and municipal staff over the course of 2016. The project team is grateful to our project funders, Searle Funds at The Chicago Community Trust and Harris Family Foundation, for their generous support for this project. 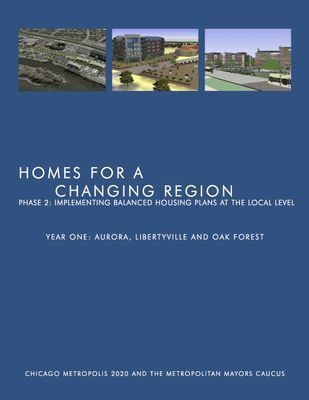 The Homes for a Changing Region project was launched in 2004 by Chicago Metropolis 2020, a civic organization, and the Metropolitan Mayors Caucus, a membership organization of 275 cities, towns, and villages in the Chicago metropolitan area. A major shortage of housing affordable to working families. Too many large-lot single family homes, priced out of the range of too many families in the region. Too few small-lot single family homes, town homes, and rental apartments. Too few workforce homes being created in sub-regions where jobs were being created. Mortgage products were being marketed, such as interest-only mortgages and adjustable-rate mortgages, which could lead to significant foreclosures in the future. Village and city officials in the suburbs were not preparing for the significant growth in Latino and elderly populations and the housing those groups would need. The key idea behind the Homes project was that cities and villages could more effectively plan for ongoing housing development if they carefully charted likely future demand for housing and planned to meet it in an effective way. Thanks to modern planning tools supplied by a nationally recognized planning firm, Fregonese & Associates, and data supplied by the Chicago Metropolitan Agency for Planning (CMAP), the Homes team was able to identify current mismatches between housing demand and supply, and to forecast future housing demand and the ability of a given community to meet that demand with a range of housing products. Focused on population trends impacting the region. Discussed construction costs and what was driving their increase. Described the potential effect of questionable mortgage products. Showed the declining impact of federal housing programs on the overall housing market. 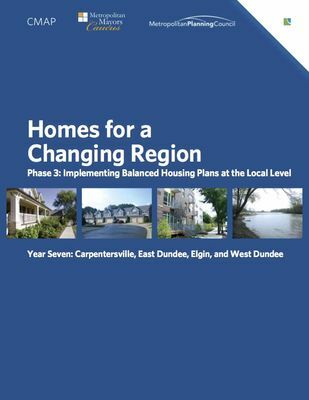 Perhaps most important of all, the initial report described strategies municipalities could use to address its future housing needs. 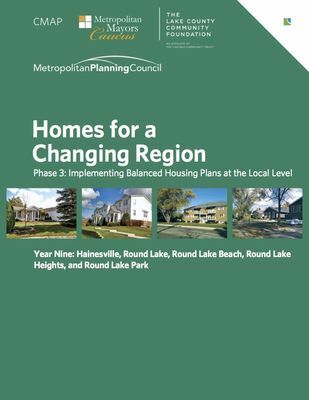 The Homes team decided to test out the future planning ideas presented in the initial report by working with select group of representative communities within the metropolitan area. The partners learned a great deal about best practices in interjurisdictional collaboration from this experience, particularly that that many communities face similar housing challenges and would benefit from common solutions. The group also learned about a number of innovative housing strategies pursued by local communities that may be relevant to municipalities facing similar challenges. 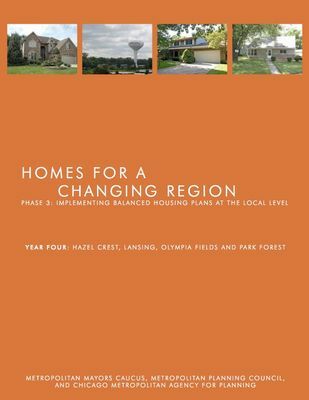 As a response to these developments, the team produced two enhancements to the Homes for a Changing Region program. An online toolkit was created that outlines a step-by-step guide for municipalities that want to create their own housing policy plans. 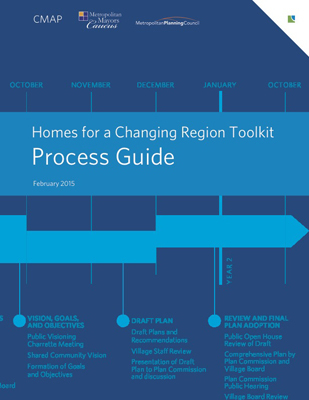 The toolkit builds the capacity of local municipalities to develop and implement their own Homes for a Changing Region plans to meet their housing needs. 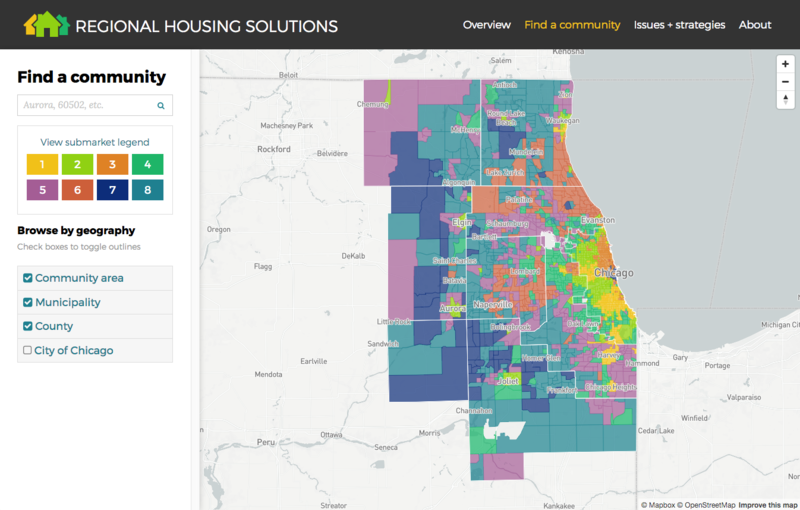 The Homes team, in collaboration with DePaul University’s Institute for Housing Studies (IHS), decided to expand its analysis in order to better understand, from a data perspective, common housing issues across the region. 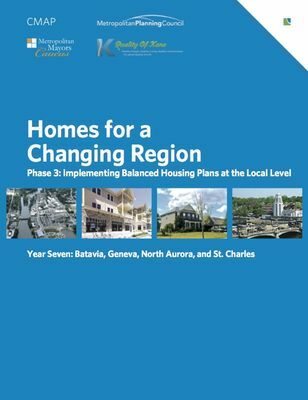 This analysis will allow for more strategic and targeted outreach and implementation of the Homes for a Changing Region planning program moving forward. 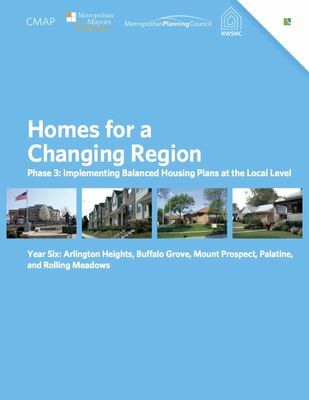 As discussed in detail in the project overview, the Chicago Metropolitan Agency for Planning (CMAP), Metropolitan Mayors Caucus (MMC), and Metropolitan Planning Council (MPC) worked in partnership on this study since 2015. The project evolved through two separate phases, both generously supportive by the Searle Funds at The Chicago Community Trust. 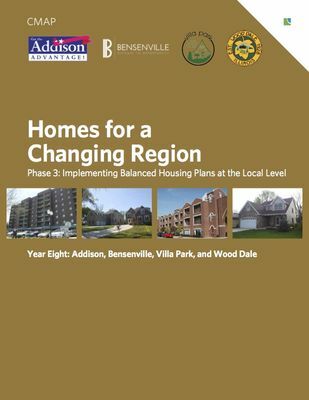 Through mid-2016, the Homes team worked closed with DePaul University’s Institute for Housing Studies (IHS) to identify the geography and characteristics of eight distinct subregional housing markets across northeastern Illinois. 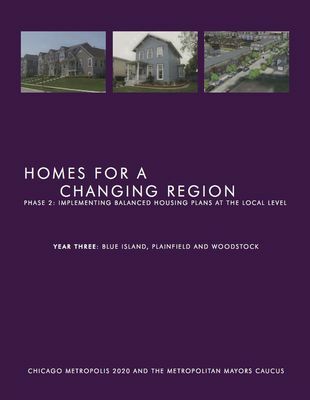 The purpose of the work was to understand what parts of the region had similar housing market characteristics and then use those common areas as the basis for phase 2 work. To identify these similar areas, or submarkets, IHS employed a data clustering technique to compare, regardless of physical proximity, different geographic units that shared similar traits. Using detailed statistical information regarding housing stock and affordability, housing market activity, resident demographics, and socioeconomic indicators, IHS placed all U.S. Census tracts within the seven-county Chicago region into one of eight groupings, each having similar housing and socioeconomic characteristics. More than 40 different variables fed into the analysis, often from the U.S. Census Bureau or IHS proprietary data. The process ended up grouping together census tracts with the greatest similarities, with different submarkets most commonly defined by age of the unit, household income, population growth, and economic hardship indicators such as unemployment and foreclosure. With the submarkets defined, the Homes team then used those submarkets to undertake research on each of the submarkets, seeking to answer three questions for each. What were the common housing problems in neighborhoods within the submarket? What ideas or best practices in housing development might be applied to neighborhoods within the grouping? What housing strategies had already been successful in similar neighborhoods? First, the existing compilation of best practices in Home Grown provided the team with a cadre of successful strategies. Second, work on Homes plans for more than 40 different municipalities provided a starting point for understanding how issues and strategies might be arrayed across submarkets. Third, the Metropolitan Mayors Caucus has conducted research on best practices for a number of different housing topics in recent years. Finally, and most significantly, the team conducted interviews or focus groups with more than 50 experts. Interviewees included relators, non- and for-profit developers, lawyers, housing policy experts, market analysts, municipal staff, and elected officials. The team researched both issues and best practices from the interviews and resources, compiling the findings into the summaries found on this website.